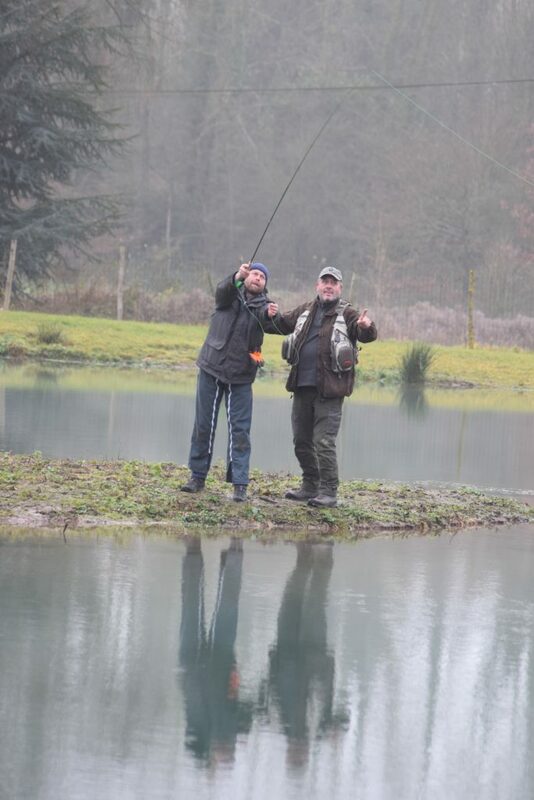 Here at La Cascade, the instructions for Fly Fishing for Beginners, is carried out by a dedicated fly fisherman of many years experience. 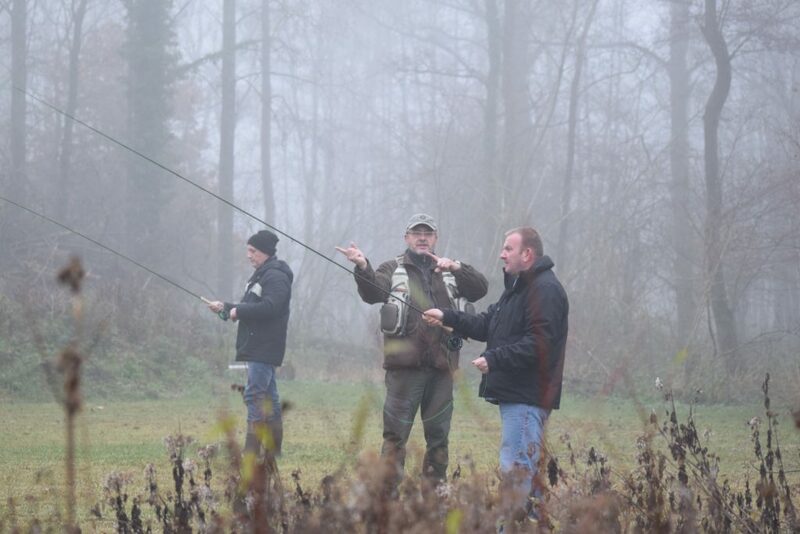 We provide a rod, reel and line and he will explain how these are used for fly fishing. He will then teach the fly fishing technique on dry land in our field, adjacent to the lake. Once the students have practiced this technique, they will be taken to the lake and taught to cast with a fly over water. By the end of the session, the students will be able to ‘present’ a fly to the trout in the water. This is just the beginning and learning about different techniques and flies can be followed with more lessons. If the student wishes to purchase a rod, we can put them in a kit, suitable for them and of course they can try them before they buy. We will be on hand to advise them and get them started in this great sport.